BLYND, one of the most successful band on the island celebrates 15 years of its existence, with a special show in Nicosia. The night will be opened by the rockers from Larnaka city Sensual Alchemist. 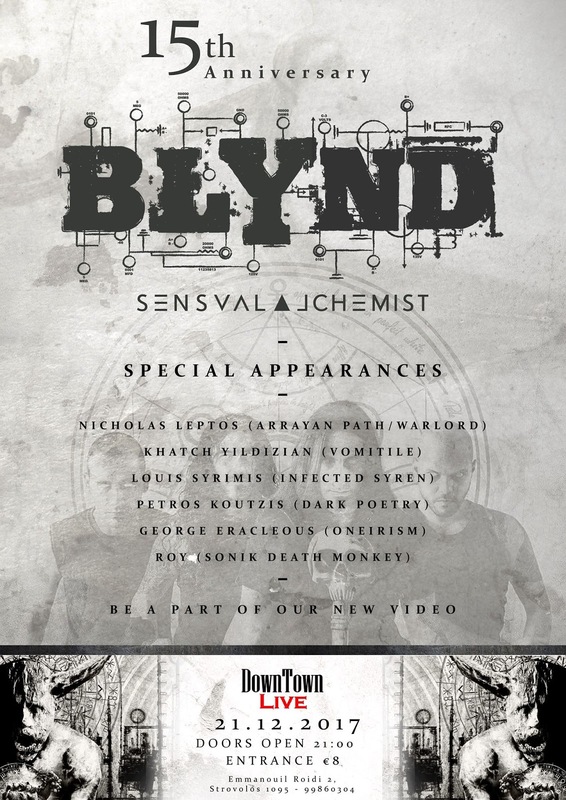 That night, during Blynd's performance, a new video will be recorded (more details on the song early December). Be part of the new videoclip!